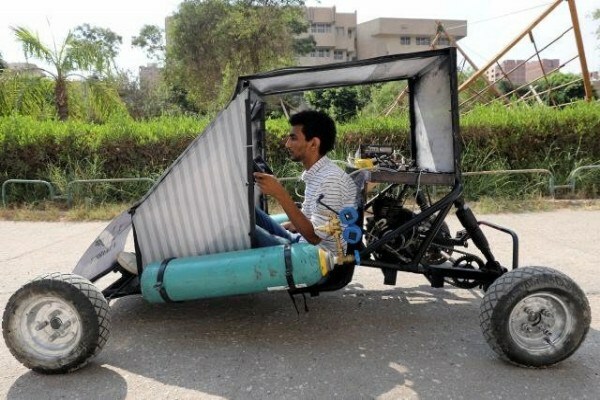 The students say their vehicle can hit 40 kilometers an hour and last 30 kilometers before needing to be refueled, and it only costs about 18,000 Egyptian pounds ($1,008.40) to build. The team is now looking to raise funding to expand the project and mass produce the vehicles. They believe they can eventually get the vehicles to top 100 kilometers an hour and run for 100 kilometers before needing to come up for air. ($1 = 17.8500 Egyptian pounds).